Him, 14 Feb 2013I am using L920 since two months now. While it has some great things (camera, screen, build et... more1- WiFi issue and reboot problem has been solved by portico update. you can now choose whether you need to keep wifi on even when the screen times out. 2- google app is already available in the store. 3- I think that the battery and network indicator are better to be hidden to show more space and it is easily shown when you press the top of the screen. Many points you addressed are developers problems not wp. Hey guys I have good news for you. 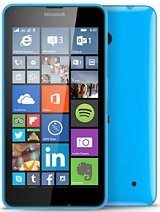 first when I get this phone I didn't know anything about windows phone, then I adapted it step by step. one of my main problem was the Facebook messenger, there's no fb.messenger in the store except fim-messenger and I don't like it. Yesterday I had suddenly realized that there is a great Facebook messenger in the phone as pre-installed app. It works great and accurate, i got the messages the right time. if you want this app go settings--messages --message settings --and then open the Facebook chat on. Anonymous, 15 Feb 2013This phone is nice, I just hope that it also have a card slot. I need an extra 32GB or 64GB fo... moreDo u have no tv. Him, 14 Feb 2013I am using L920 since two months now. While it has some great things (camera, screen, build et... moreSad. So sad. symbian^3 devices didnt hav these shortcomings. Soon after 2 years later of N8, nokia's flagship doesnt hav usb otg and HDMI. Microsoft engineers are dumb? AnonD-70078, 14 Feb 2013Android is a nightmare after few months. Filled with virus from rubbish apps. Put your browser... moreYour comments seem half cracked ! Why not setted some good Anti-Virus software in your Android smartphone. Nokia lost its shine. 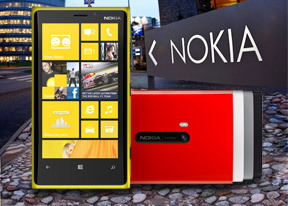 I had got a phone upgrade of Nokia Lumia in April 2012. After 4 months the phone just could not switch on. It was taken for repair as it was stll under warranty. The service provider gave me another phone as they failed to repair it. The replacement also stopped switching one after another four months. To me it appears the phone only has an average life of four months. Competely disppointed. I am using L920 since two months now. While it has some great things (camera, screen, build etc. ), I would mentioned some shortcomings to help decide new buyers. Those are mostly of WP, not Nokia. Many sites are not appearing mobile-optimized. You cannot download multimedia, the browser will attempt to play it. There is no forward button. There is no option to open new tab / page in background. No other reliable browser is available in Store. Live tiles support is very limited. Skype tile does not show you the online contacts. Official Twitter tile does not show you tweets. etc. etc. Developers are slowly adding the support, however. On the contacts tile (if in big size), absurd boxes keep on appearing. Every contact is shown as HOTMAIL contact. If you have two numbers in one contact and you want to edit one, it will ask you to choose between HOTMAIL and HOTMAIL, which is quite annoying. The OS is very smooth. You will not notice any lag. But "Loading..." message appears every now and then, even while entering some settings. The OS hangs sometimes and you will have to press power and volume down button together to restart the phone. It will reset your time and date. The problem is said to be solved in recent updates. You are on Wifi and you are downloading something and your screen times out, you will loose your wifi connection. That means, wifi will be lost in standby. The problem is said to be solved in recent updates. For some users, it is very important to have info how much battery is left and what is signal strength. In WP, battery and network indicators remain hidden. To check battery and network (cellular or wifi or bluetooth), you will have to touch the top area of screen everytime. There is no native sound recorder which is available in nearly every non-WP phone. Apps availability is poor. Yes, this is true that you only need a few apps but sometimes even you can't find those "few". 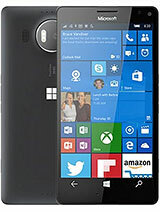 For example, Google recently said they are not interested in developling for WP8. So, you have no google app in your WP8 phone. Also, if you are a heavy gamer, you do get some famous games here (like angry birds etc.) but most of the famous games are not available in WP8 and apparently the developes are not interested even. Nearly in every bluetooth phone, if you want to share something via bluetooth, the device will ask you to turn on bluetooth. But in WP, if your bluetooth is Off, it will not even show you the option to share via bluetooth. So, if you want to share a photo, first go to settings, turn on bluetooth and then go back to photo, only then Share via bluetooth option will appear. In almost every app and settings and manu, the header text font is too much big, wasting a lot of screen space. For example, when you open contact, the header "people" is written toooo big that wastes a space where at least 3 more contacts can be shown. Same is the thing in other apps. Around one fourth of the screen is always wasted in huge title text. Above all is my experience which I shared. Dont just start bombing in blind faith calling me The Emeny of Nokia and WP8. If I said something wrong, do correct me. mayu, 14 Feb 2013If you think android is better than go for it... After some dayz you will realize, why hadn't... moreYou're right. Have used different OS before the WP8, I came from Android, now I don't want go back to Android. WP8 works just super. But everybody must just decide for their own, I would recommend WP8 by the way. Hey guzs plz tell me, if there r amazng games and apps to play or i shud buy samsung galaxy s3 ? 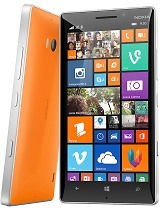 After some dayz you will realize, why hadn't I buy lumia?